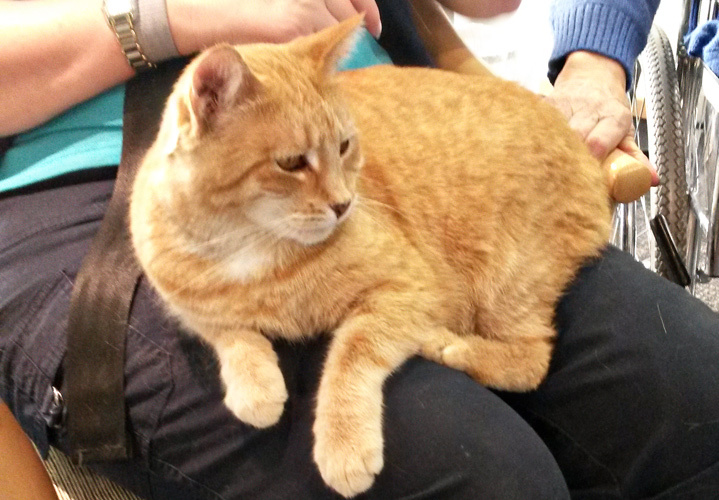 The Sale Community has recently welcomed a new resident, Mandy, a six-year-old ginger cat. Mandy moved to HBH when her previous owner went into residential care in another facility and was not able to take her. She spends much of her time at the Sale Community and has already tried every comfy chair available. Mandy doesn’t like to be picked up but will happily sit on your knee and loves to be stroked. HBH residents are enjoying her company. Mandy has become firm friends with one resident in particular, as she knows there is a secret stash of cat treats to be found in his room!